Any content or digital marketing strategy wouldn’t be complete without a variety of tools to assist in the endeavor. While hard work and excellent content can go a long way, there is only so much you can do by yourself when it comes to marketing. You need to be able to keep track of happenings, monitor metrics and improve communication between your brand and audience. For that, you really need at least one good marketing solution. So which marketing tools are the best right now? We’ll review a few of the top contenders for you to consider using in all of your broader marketing strategies. Any list of marketing tools wouldn’t be complete without Google Analytics. 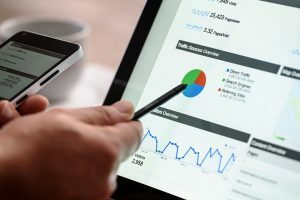 By far the web’s most popular free marketing solution, Google Analytics provides users with a plethora of easy-to-use tools and data. From measuring bounce rates to learning more about customer behavior, all the data that’s pinging servers on Google is collected and shown to you in simplified dashboards and menus. Analytics will assist you with determining which types of content is doing well and which is not, making it easier to learn from your marketing mistakes and adjust accordingly. Even if you decide to use other solutions for marketing success, not enabling Google Analytics is akin to marketing malpractice. Well known as the “all-in-one marketing toolkit”, SEMRush helps you discover which pages you should be promoting more and which pages need more attention. Great for finding new keywords and niches to explore, SEMRush is an awesome tool that’ll have you digging for hours to find new ideas, new opportunities and new pathways forward. SEMRush plays well with a variety of other marketing tools and when combined, can produce a very powerful marketing arsenal. You’ll also be able to conduct a bit of research on the competition with SEMRush by discovering exactly which keywords any website or page is targeting. This marketing tool is not free but there is competitive pricing available and it is definitely worth looking into at present. No marketing strategy would be complete without an email marketing solution. Whether you’re selling products or subscribing users, you’re bound to collect email addresses over time. MailChimp can put that information to work for you, by allowing you to manage streamlined email marketing campaigns that work. You’ll be able to see how successful each campaign is, by monitoring open rates, unsubscribes and a variety of other data-points. MailChimp is free to use for smaller campaigns but if you have thousands of email addresses, then you’ll likely need to purchase a package before pinging servers with a persistent flow of emails. There are so many different aspects to marketing that you are bound to need multiple tools. Whether you’re focusing on search engines, social media, email or all of the above, the tools above can help you better improve your overall strategy and increase conversions and sales. What other marketing tools have you been considering or are using at the moment? Tell us below about what has worked best for you or what you’re considering.